SBI Life Insurance is a joint venture between State Bank of India and French investment bank, BNP Paribas Cardif, and is one of the leading insurance companies in India. 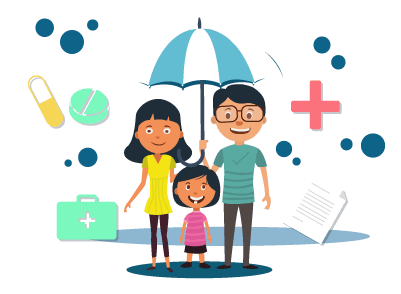 The insurer not only offers a wide range of insurance products to its customers but also boasts of an extensive customer care service as well. An existing or a new customer can get in touch with an SBI Life Insurance customer care service executive by calling the toll-free number 1800 22 90 90 anytime between 9:00 a.m. and 9:00 p.m. from Monday to Sunday. A customer can send an email to info@sbilife.co.in in case of any doubt he/she would want to clarify. For example, if the customer wants to check his/her fund value, he/she needs to type FV 12345678 and send it to 56161 or 9250001848. The customer can also use the missed call service as well in order to receive important information and updates. One can give a missed call on 022 - 27599901 to know his/her fund value. He/she can also give a missed call on 022 - 27599904 in order to get his/her premium paid certificate. A customer will have to visit the insurer’s official website. Under the ‘Contact Us’ section, he/she can find this facility available. He/she will then have to provide details like his/her mobile number, state, city, nature of the query, and whether he/she is an SBI Life customer or not. After filling those details, the person will have to click on the Submit button. A customer care service executive will call the person back on the mobile number provided by the customer. An existing or a new customer can avail the RIA or better known as Real Intelligent Assistant, a bot available to help a person with any query. This option is available on visiting the insurance company’s official website. One needs to click on the icon and then type in his/her queries following which the bot will clarify the doubts. Submit Your Query - This is the first level. A person will have to fill in his/her personal details including the complaint and click on the submit button. He/she can also choose to register his/her complaint by sending an SMS, calling the toll-free number, sending an email, or by visiting the nearest branch available. Level 1 - The customer can raise a complaint by getting in touch with the Regional Director available at his/her nearest customer service desk of the SBI Life Insurance. Level 3 – If the person does not receive any response or is not satisfied with the solution provided, he/she can get in touch with an Insurance Ombudsman Officer. A person can also make a suggestion by submitting his/her personal details or by calling the toll-free number, sending an email, or by visiting the nearest insurance company branch. One can also contact the corporate office by calling on 022 - 61910000.